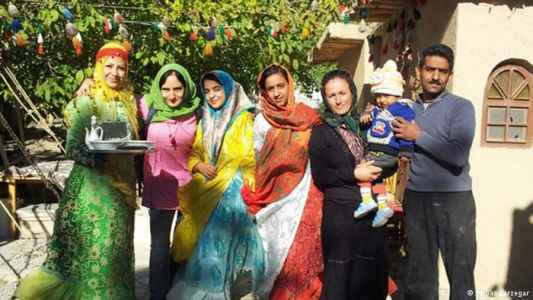 Join this group of Aussies for the second time touring Iran. Enjoy history and culture, living with locals and taste their food the way they do it. Partnered up with our lovely colleages at Gypsian Boutique Tours in Australia. Our group tour commences this evening in the bustling city of Tehran. After our welcome meeting there is the opportunity to sample Iran’s famous fare. A great start to a fantastic tour of Iran! We start our day at the National Museum of Iran where we get a crash course in Iran’s rich history – this will lay the groundwork for the rest of our trip! We’ll also visit the newly refurbished Museum of the Islamic Period where we’ll see arts and antiquities from the Islamic period, including calligraphy and textiles. After lunch, get ready to witness one of Tehran’s biggest draw cards – the National Jewellery Museum. Located in the vault of the National Bank, this collection of crowns, tiaras and precious gems was amassed by the Iranian Royal family from the 16th century onwards and is, quite simply jaw dropping. Our focus this morning is on the sprawling Golestan Palace compound located in the heart and historic centre of Tehran. 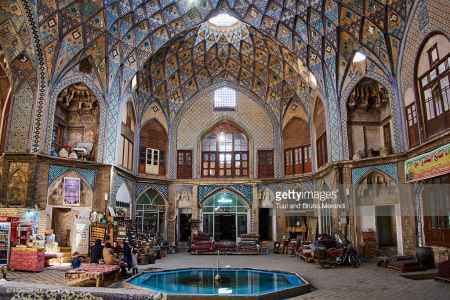 This is one of the oldest compounds in Tehran and was originally built during the Safavid Dynasty. Not far from the palace is the Grand Bazaar of Tehran. Described as a city within a city the bazaar here is know to have been an area of trade for more than a thousand years (although the oldest walls and buildings still here are only around 400 years of age). All this walking means we’ll need to refuel, so we’ll follow the Tehranis to a popular local spot for some lunch. Iran is known for it’s carpets, so no visit to Tehran would be complete without a visit to the Carpet Museum to see some of the countries finest examples. This evening we’ll stroll the Tabiat Bridge and find dinner overlooking two of the cities finest parks. Early leaving Tehran behind this morning, we make our way to the ancient city of Ecbatana (modern day Hamadan) Visiting the sights in Hamedan like: Hegmatane, MourdKhai Temple, based on time and clients' flexibility Ganjname can be added to the plan. Overnight, you stay in the hotel in Hamedan. 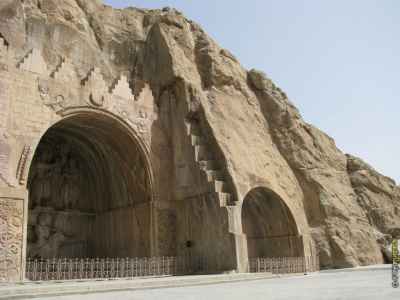 We start our day with a visit to the UNESCO Heritage site of Taq-e Bostan. These bas-relief carvings are some of the best surviving from the Sassanid era and feature royal hunting scenes, backed by elephants. 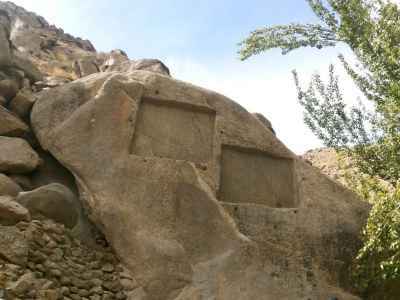 Later we’ll visit the site of Bisotun, featuring more bas-relief carvings, these ones dating from 521BC. (for this day, the sights are Taq-e-Bostan, Bisetoun and Kangavar again based on time and clients' flexibility, if needed one can be omitted for their comfortability) It is almost 3 hours between these 2 cities so we have to manage the time. Overnight in Hamedan. An early start today as it’s one our biggest drives of the trip. However, you’ll forget all that time on the road when we reach our destination this afternoon: Esfahan! This is, without a doubt, the most visually stunning city in Iran. There’s was a 16th century rhyme that went “Esfahan nesf-e jahan”, which means Esfahan is half the world. While perhaps not so geographically accurate, it is certainly true that the former capital of the Persian Empire is certainly one of the most beautiful cities in the world. We’ll begin our exploration with the Masjed-e Jahmeh, a perfect example of 800 years different Islamic architectural styles. 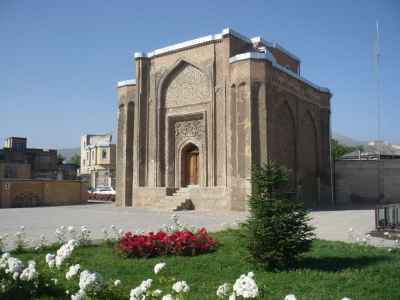 Next we’ll visit the only surviving palace of the royal precinct, Chehel Sotun, before making our way to Naqshe-e Jahan Square, the second largest square in the world and one that has change little since its construction in 1602. After lunch we’ll take a peek inside the Bazaar-e Bozorg (Grand Bazaar), exploring it’s labyrinthine alleyways shopping for handicrafts. Later this evening, once the sun has set, we’ll make like the local Esfahanis and stroll across the bridge of 33 arches, Pol Si-e-She. We’ll start our day with a visit to Jolfa, the Armenian Quarter of the city and its’ magnificent Vank Cathedral. Later we’ll make our way back to Imam Square where we can relax in a traditional teahouse, before visiting what can be considered the pinnacle of Persian Islamic architecture – the Masjed-e Sheike Lotfollah and the Masjed-e Shah. These two mosques can help but make a lasting impression. It’s a “bus” day today, as we make our way from Esfahan to another one-time-capital of the Persian Empire, Shiraz. The capital during the Zand Dynasty (1747 – 79), Shiraz was one of the most important cities in the medieval Islamic world and is still considered to be the centre of Persian culture. It’s said that Iranian homes have two books, the Quran and a collection of poems by the poet Hafez. 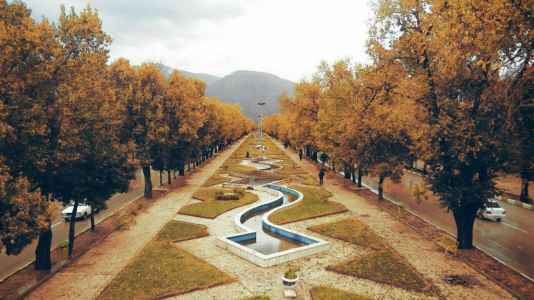 A city of poets, Shiraz is known as a city of learning and poetry, and of course it is perhaps most famous for the wine it is no longer able to produce. One of Shiraz’s most well known sites (an definitely its most photographed! 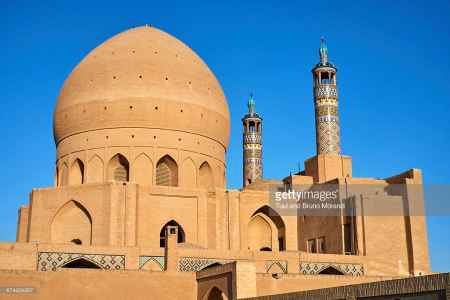 ), is the Masjed-e Nasir al-Molk, more commonly known as the Pink Mosque. We’ll visit in the morning as the sun streams through the stained glass windows, filling the space with a kaleidoscope of rainbow light. Later we’ll visit the tombs of the poets Hafez and Sa’di and you’ll see the poetic sway they hold on Iranian’s hearts with the many people who make a pilgrimage to their graves. 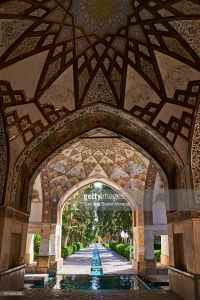 After lunch we’ll return to the historical centre of the city, visiting the Masjed-e Vakli, the well preserved hammame Vakil (bath house) and then we enter the wide vaulted brick avenues of the Bazaar-e Vakil. Although it needs little introduction, we must say that Persepolis is one of the most jaw-dropping sites we’ve encountered on our travels. This city embodies the pinnacle of Darius the Great’s Achaemenid Empire, but it also represents it’s ultimate demise at the hands of Alexander the Great. 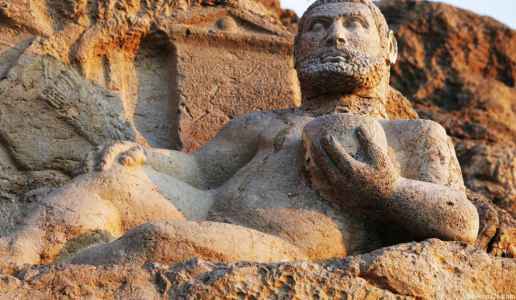 The extensive ruins here are marvelously well preserved and you’re unlikely to encounter such extensive and well-preserved basrelief carvings anywhere else in the region. 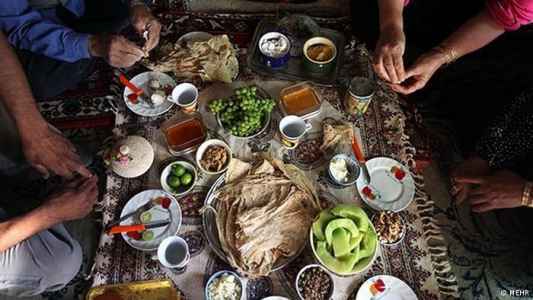 This evening we have a special treat – dinner with some good friends in Iran who will prepare for you the best home-cooked Iranian cuisine you’ll taste all trip! 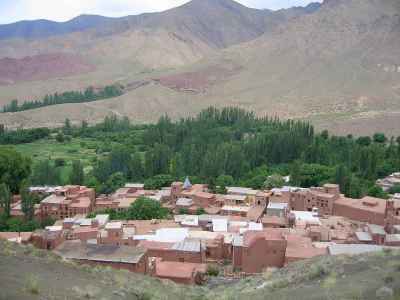 This morning we say goodbye to the city of Poets and head to the village of Bavanat and Baz. You will experience nomadic life style that is unforgettable. Overnight you stay in this lovely village in a traditional house. You will be in Yazd for lunch after a 3:30drive. In the afternoon, you will have a half day tour there. Long considered an important stop on the trade routes, Yazd is a charmingly fascinating desert city. According to UNESCO, the old town of Yazd is one of the oldest in the world and today you’ll feel like you’ve stepped back in time as you wander the maze of historic lanes. This evening we’ll join the locals in a stroll around the evocative Amir Chakhmaq Complex. Here in the desert it can be difficult to believe that there is any water to be found, but this afternoon we’ll visit the Yazd Water Museum to find out how qanats (water channels) were dug to supply water for drinking and irrigation. Overnight, you we stay in Yazd. 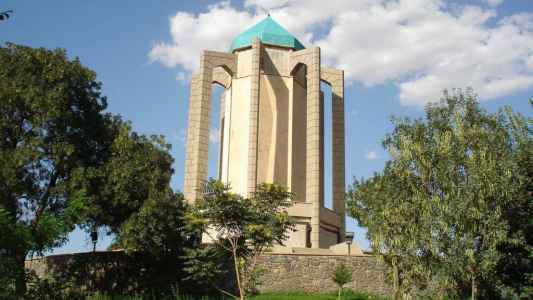 Today, we’ll visit the Towers of Silence, a once-sacred site where the bodies of deceased Zoroastrians were offered to the earth. 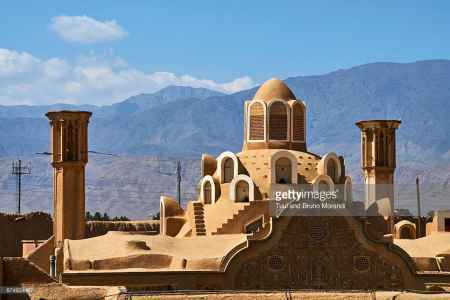 Yazd is also the home to Ateshkadeh, a Zoroastrian Fire Temple where the flame has reportedly been burning since 470AD. This day you are in Yazd and overnight there. The Jame Mosque is another lovely sight we enjoy our time. Overnight. Yazd. Kashan is such a beautiful, laid back city that we thought it the perfect place to spend an extra night and explore the surrounding area. Today we’ll make our way south of Kashan to the village of Qamsar, renowned throughout Iran for its fields of roses and production of rose water. 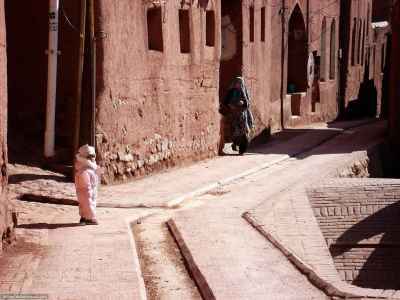 From here we’ll continue to Abyaneh, filled with narrow, twisting lanes lined by red, mud-brick houses, this ancient village is said to be at least 1500 years old. This afternoon, we return to our hotel in Kashan – a beautifully restored mansion dating from the Qajar era. Overnight, Kashan. We did say that Kashan is one of our favourite places in Iran and today you’ll see why! 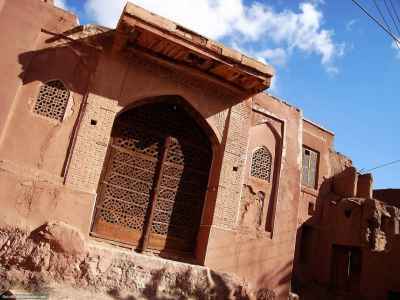 Wondering the atmospheric streets, we’ll visit the beautiful Tabatabei and Boroujerdi Houses as well as the hammam of Sultan Amir Ahmad, a 500 year old bathhouse with roof top views of the city over the tops of the bath house domes. This afternoon, we’ll relax in the stunning Bagh-e Fin, or Fin Gardens – the perfect way to while away an afternoon. This morning we will bid farewell to new friends as our cultural tour of Iran concludes after breakfast.